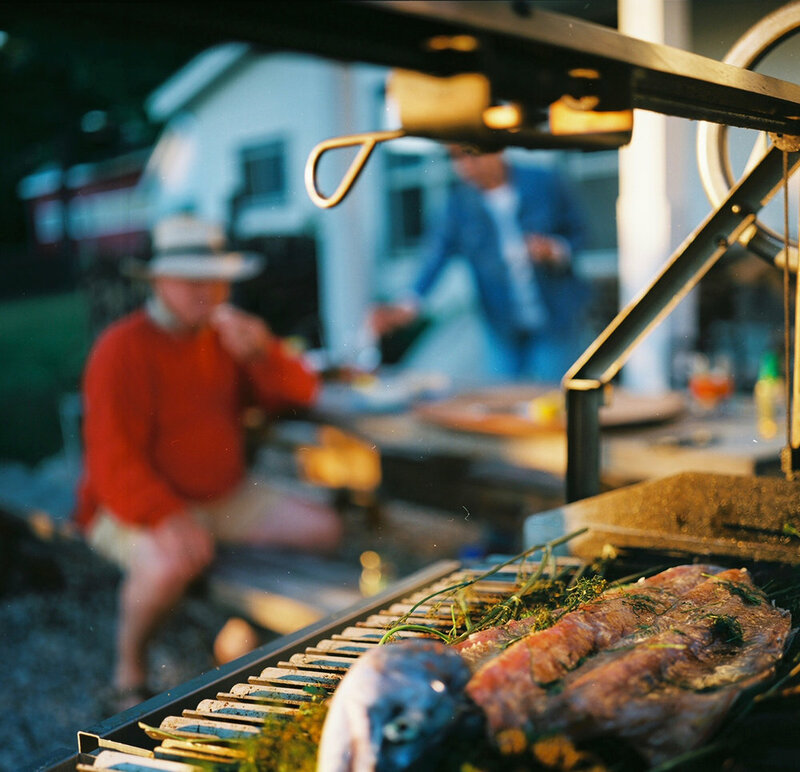 Nothing pleases us more than seeing how our grills are being enjoyed. 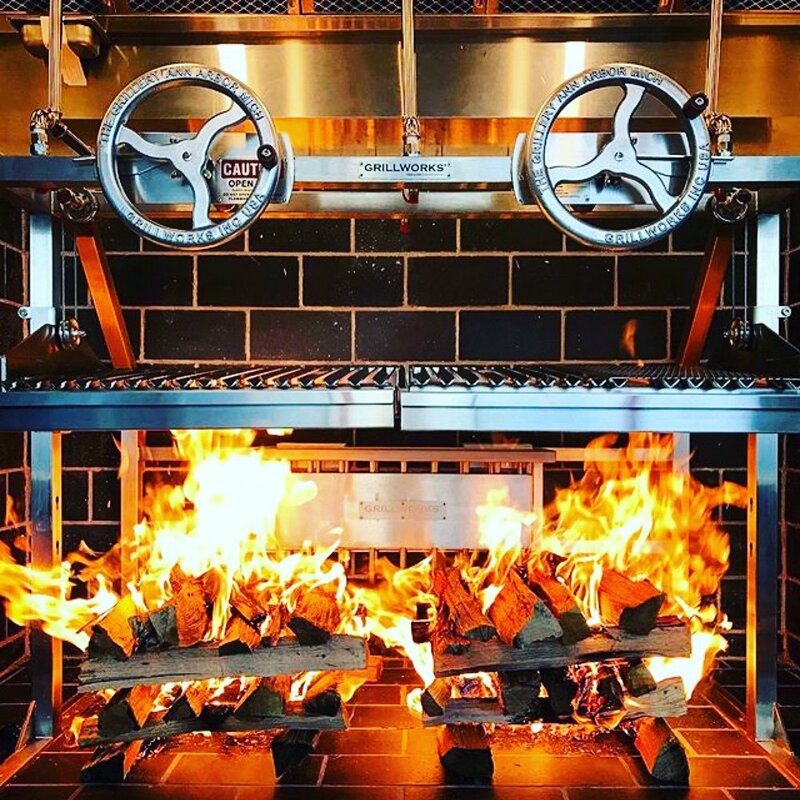 Whether it's a back yard, kitchen install or new restaurant, we're fueled by the ideas YOUR experiences give us. And we know your creativity inspires that in others, too. In people who may one day buy a grill. In this gallery you'll find all manner of grills, designs and events that we hope put a smile on your face as they have ours. 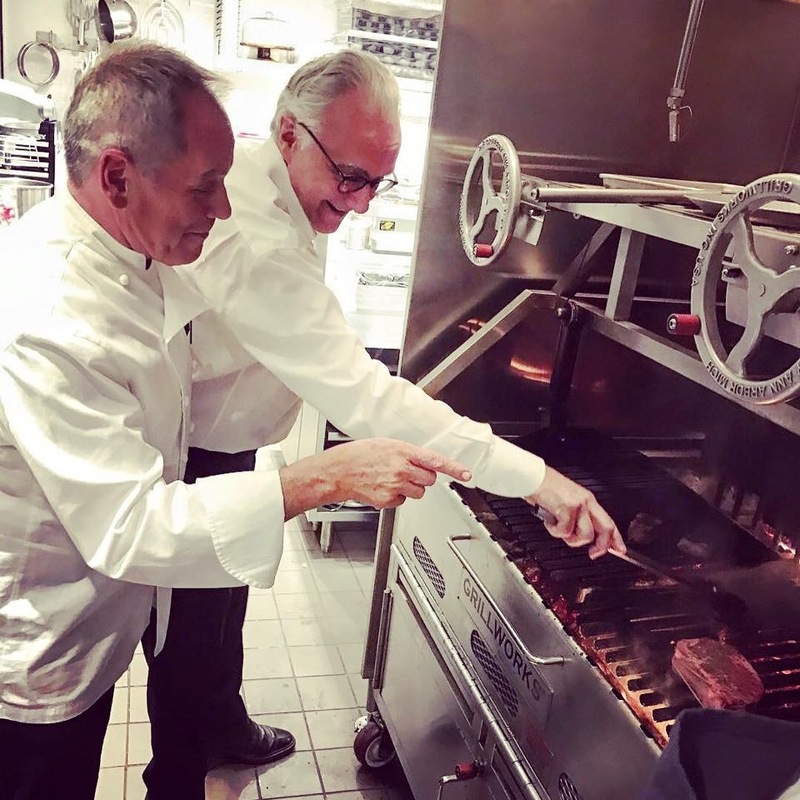 Forgive us for posting some of the honors, parties and Grillworks family history we've acculated over the years, because you know -- grilling is FUN. 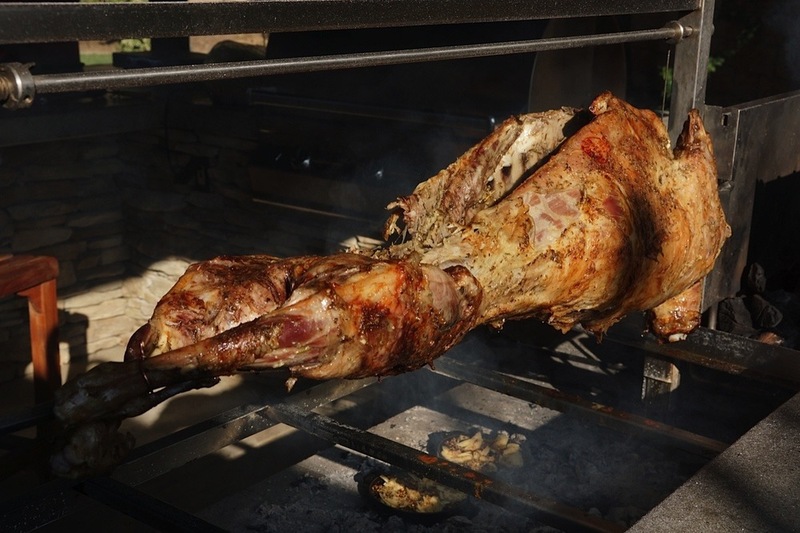 All images and videos belong to Grillworks LLC or are used with express customer permission. 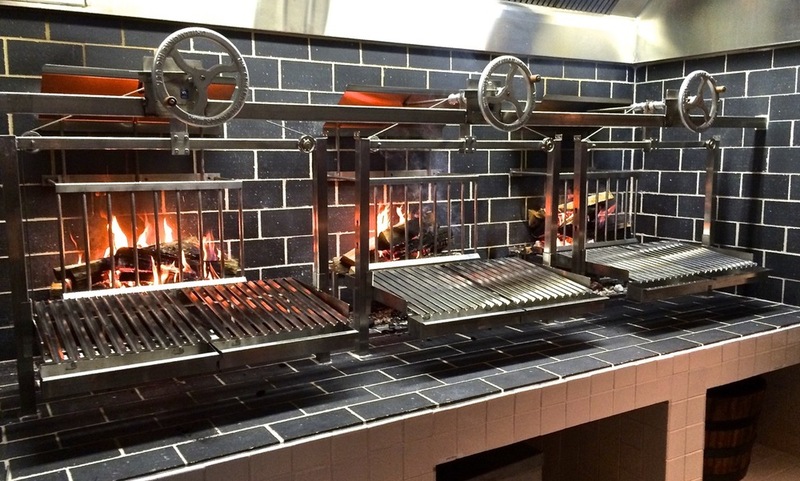 Want to see a grill in person? 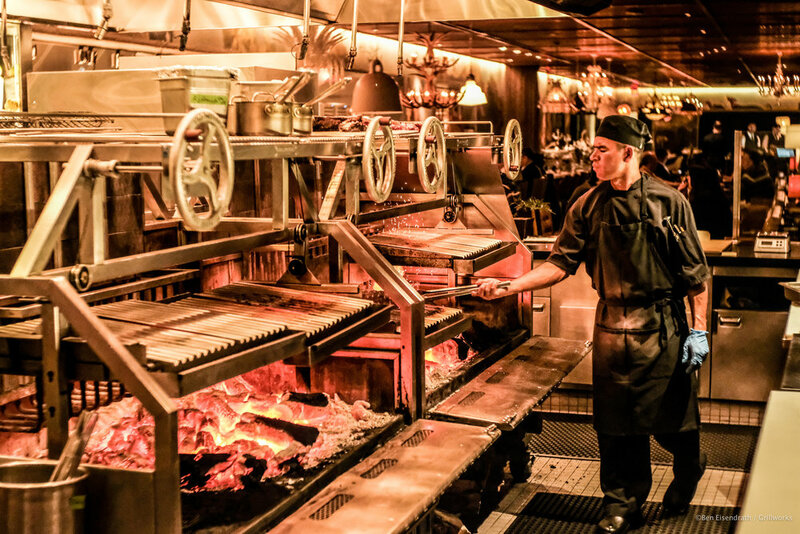 Check out our map: Grillworks-Powered Restaurants. First Fire on a Dual 36 Architectural! 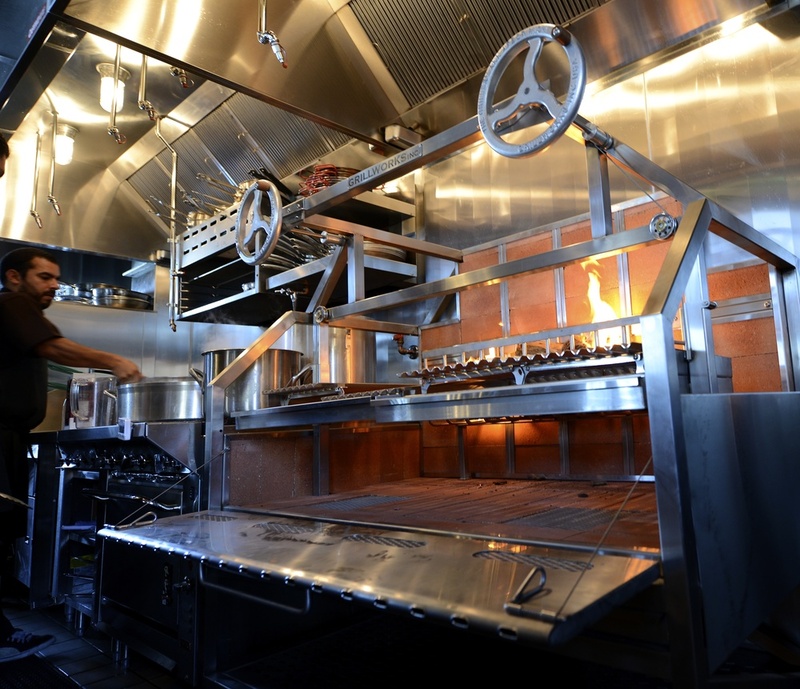 An Infierno 64 in full action at Coqueta in San Francisco. Jose Garces' Rural Society in Washington DC rocks three Architectural 36s. 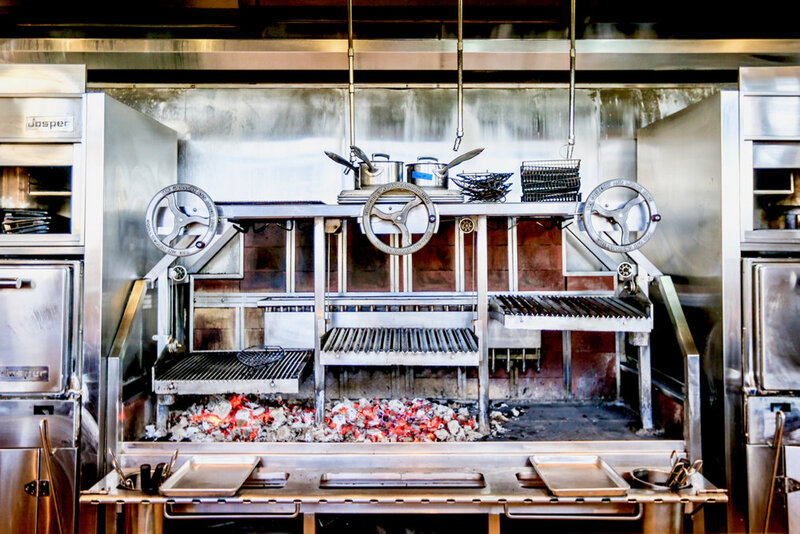 Adam Sachs, Saveur Magazine's Editor in Chief, had a Grillworks Architectural built into his kitchen long before he got the job. This was New Year's rotisserie goose! V-Channels at work saving that jus! 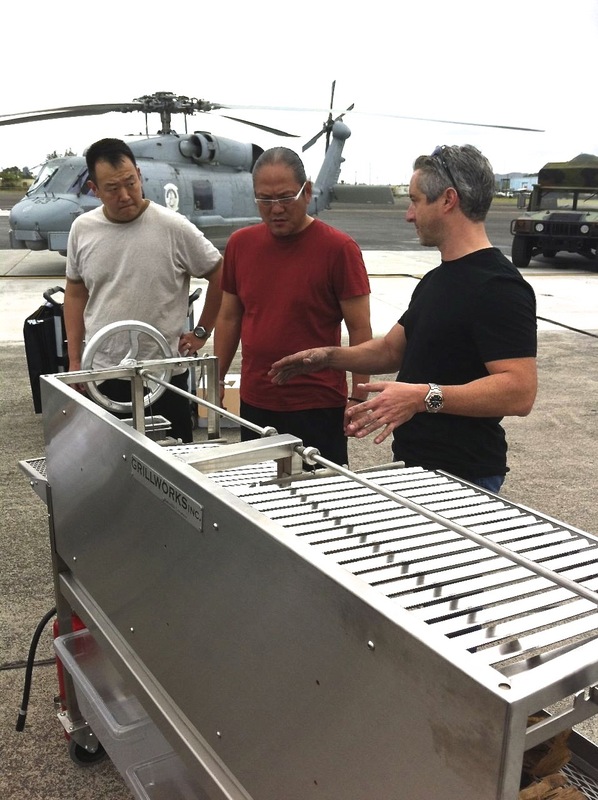 Steven Raichlen shows us his lobster game on the Grillworks 42 (courtesy MPT and Primal Grill). 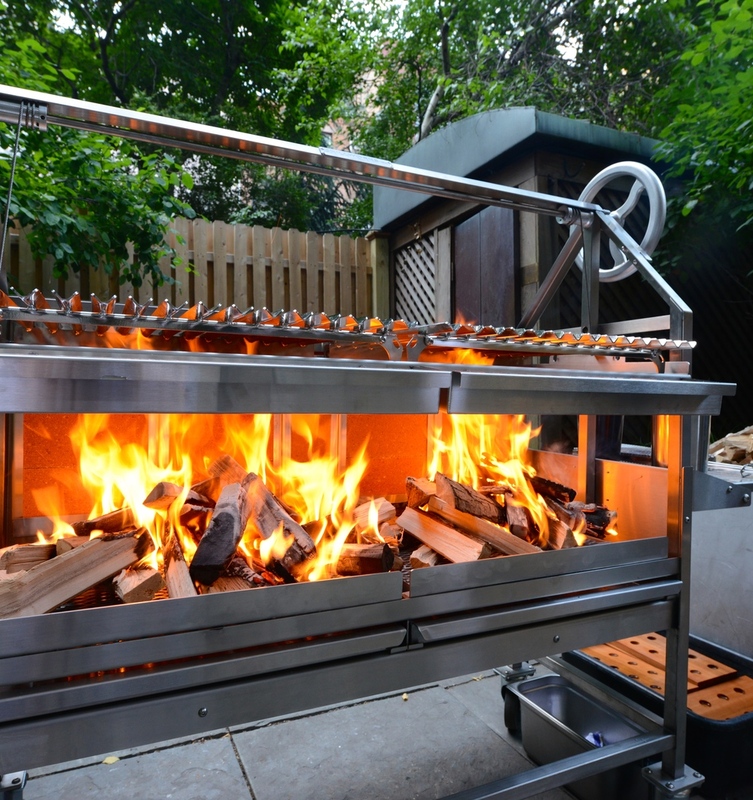 Fly-by of Marta Restaurant's Infierno 96 in full fiery motion.